Henk Noorman was trained as a Chemical Engineer at Groningen University (NL). He obtained a PhD in Biotechnology from Delft University of Technology (NL), on microbial systems modeling (1991). He became a post-doctorate fellow in a Nordic research consortium, and coordinated a fermentation scale-up project among academic groups in Sweden, Denmark and Norway. He then joined Gist-brocades and DSM in Delft (NL, 1994) and worked on fermentation development and implementation projects, mainly in the area of antibiotics and biobased chemicals. He also has been project manager for innovation projects. Henk Noorman is currently working as Corporate Scientist Bioprocess Technology in the DSM Biotechnology Center and is involved in numerous projects in Industrial Biotechnology, Food Specialties, Anti-Infectives, and the Corporate Research Program. 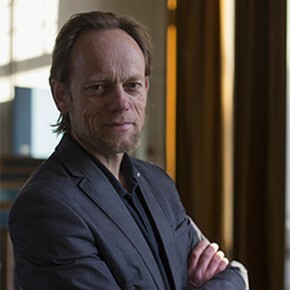 In addition, he is honorary professor at TU Delft working on Bioprocess Design and Integration. Henk Noorman uses his research to advance open innovation in industrial processes that use renewable, clean fuels as a base. His work in both academics and industry allows him to directly put theory into practice. This way a world with elements from the ‘bio-based economy’ is within reach. Lu, H, Li, C., Tang, W, Wang, Z., Xia, J, Zhang, S, Zhuang, Y, Chu, J & Noorman, HJ (2015). Dependence of fungal characteristics on seed morphology and shear stress in bioreactors. Bioprocess and Biosystems Engineering: bioreactors, upstream and downstream processes, measurement and control. Wang, G, Tang, W, Xia, J, Chu, J, Noorman, HJ & Gulik, WM van (2015). Integration of microbial kinetics and fluid dynamics toward model-driven scale-up of industrial bioprocesses. Engineering in Life Sciences, 15, 20-29. Noorman, HJ (2015, January 7). Industrial Fermentation. Aachen University meeting (D), Presentation at Aachen University meeting (D), 07-01-2015. Noorman, HJ (2011). An industrial perspective on bioreactor scale-down: what we can learn from combined large-scale bioprocess and model fluid studies. Biotechnology Journal, 6(8), 934-943. Thykaer, J, Rueksomtawin, K, Noorman, HJ & Nielsen, J (2009). Disruption of the NADPH-dependent glutamate dehydrogenase affects the morphology of two industrial strains of Penicillium chrysogenum. Biotechnology Journal, 139 (4), 280-282.